During the summer of 1976, Club was working out in the track area behind the Intermural Building. A 14-year old Korean boy named Han Won Lee would watch them from the side. His family had recently emigrated from Korea. Although he had never practiced Taekwondo in Korea, it was familiar to him. Han	joined the Club, worked his way through the ranks, and earned his black belt. He trained extensively with Joanne Hamilton and Eric Erickson. When he could, he also went to Detroit, where he would spar with Owen Pope, Lynette Love, and the other students there. Later sparring partners of Han included David Kim, John Vincent, and Master Chong’s sons, Hoon and Sean Chong. 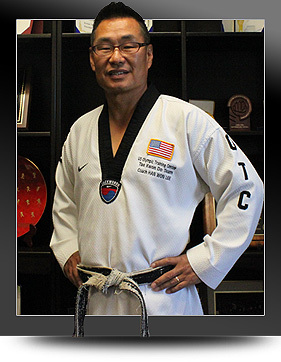 In the early 1980s, Master Chong became involved in	the founding of the United States Taekwondo Union	(USTU). This group became the national governing body for the	World Taekwondo Federation in the United States. Master Chong served as President of the Michigan State Association for a number of years. During this time, the	Club hosted	the state championships each year. In 1982, the University of Michigan	Taekwondo Club hosted the national Taekwondo championships at Pioneer High School. Taking advantage of a home court, Han won the first of	five national championships. In 1988, Han won the U.S. Olympic team trials and went to the	Olympics in Seoul, Korea. Han won the bronze medal, losing to the gold medallist in the semi-finals. When he returned, Han took advantage of his	publicity to open his own school. Dave Kim and John Vincent followed him. During the late 1970s and early-to mid-1980s, other key Club members included Nicholas Bissoon-Dath, Tony Glinke, Todd Grant, Scott and Dale Shuger, Mike Wallace, Wynne Chin, Ed Rice, and Mary Asztalos Schoenfeld. In 1992, Han got the competition bug again and tried out for the U.S. team again. He won the team trials and went to Barcelona as the team captain. Unfortunately, Han injured his knee early in the competition and did not medal. A short while after the 1992 Olympics, Han was asked to come out to Colorado Springs to become the resident Head	Coach at the Olympic Training Center. At the same time, Master Chong was elected President of	the United States Taekwondo Union, a position he held from 1993	until 1996. During all of this, the Club continued on. Key members from the mid-1980s to the mid-1990s included Tim Frye, Steve Busch, Sahba La’al, Garry Gross,	James Marks, Susanne Kopecky, Jerilyn Bell, Matt Birchmeier, Terry Hull, Shana Milkie, Roland Spickerman, Laura Kistler, Tony Winkler, and Mike Spigarelli.